Bower is a command line utility that lets us manage our front-end dependencies with a bower.json file (think Gemfiles for front-end). It also integrates with the asset pipeline pretty well. Bower requires Node.js and git, so be sure to have git and npm on your system and run npm install -g bower if you haven't already. Now we can run bower init to generate our initial bower.json file. You can just keep hitting enter and go with the default options. Then, run bower install angular angular-ui-router bootstrap --save to install our frontend dependencies. The --save flag automatically adds them to bower.json. Now that we have our dependencies installed locally, we can use sprockets directives to require them in application.js/css. Sprockets will automatically require the right file based off of the package name, as long as that package's bower.json has its main attribute set properly. Let's update application.js and application.css, and then remove the cdn links in our layout. If you already tried *= require bootstrap in app/assets/stylesheets/application.css, you may have noticed that your Rails app throws an exception. This is because Bootstrap's bower.json has a .less file in its main attribute, which our project doesn't currently support. We can get around this by requiring the path to the bootstrap.css file in the bower_components folder instead (you won't need the bower_components as part of the path as sprockets should automatically look in vendor/assets/bower_components). Avoid installing front-end dependencies in multiple places when you're using bower, as this could lead to the wrong file being required (for example, if you had the angularjs-rails in your Gemfile AND angular in your bower.json). 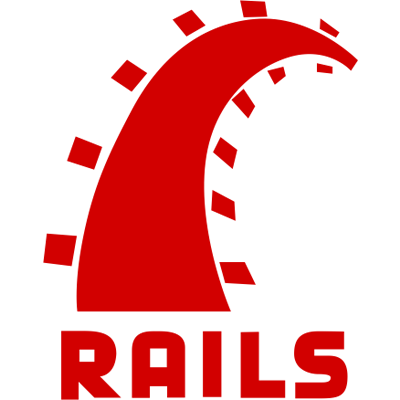 There's also a bower-rails gem if you prefer a more Gemfile-like syntax to your bower.json and rake tasks that wrap the bower commands, however, this will be another dependency in your Gemfile, and also requires Bower to be installed via npm. Move the /home.html template from application.html.erb to a new file _home.html inside the home folder you just created. Move the /posts.html template from application.html.erb to a new file _posts.html inside the posts folder you just created. Once we move our templates, we'll need to update the templateUrls in app.js in order to reflect the new paths to our templates. Note that the leading slash has been removed. The leading underscore we used in our new HTML file names is a common practice used to show that the file contains a partial and not a full html file (it also helps us avoid asset path collisons mentioned earlier). While we're in app.js, let's take the time to split out our Angular services and controllers into separate files as well. This should leave our app.js file with just our app declaration and config function. If we check our app in the browser, our app should still be fully functionaly with all of our files organized and going through the asset pipeline. Now that we have our front-end fully integrated with the asset pipeline, let's start building an API with Rails for our app to interface with so we can get persistent data.